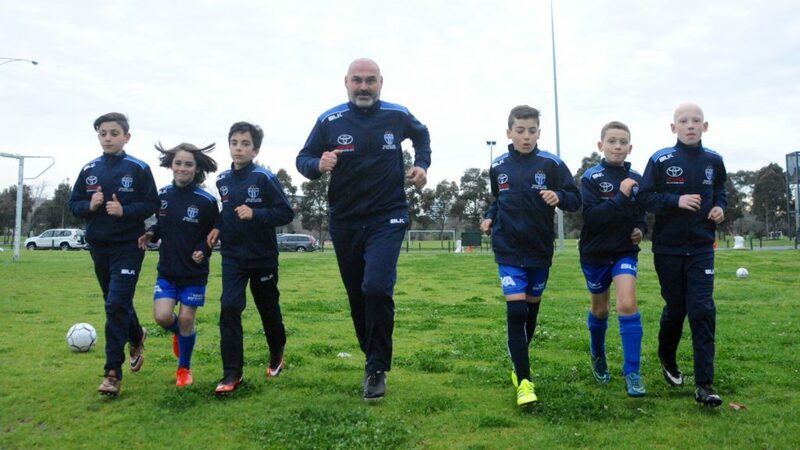 South Melbourne Hellas FC is once again looking to learn from masters of the World game in its bid to establish one of the best junior and youth development programs in the country. For the second time this year, South is sending a contingent of junior footballers (U 11s and U 16s) to Madrid where they’ll have the opportunity to play against players from some of the best junior teams in the world including teams from La Liga giants Real Madrid and Atletico Madrid as well as Getafe Leganes and Rayo Vallecano. Accompanying the young South Melbourne footballers to Spain, will be South Melbourne FC Technical Director Strati Xynas and SMFC Board members Bill Papastergiadis (whose son in one of the young players) and Andrew Mesourouni. South Melbourne FC President Leo Athanasakis believes the trip “Will open doors for our team,” and help keep it at the forefront of clubs in Australia. “It’s a journey of a lifetime for these children,” he said. SMFC’s Head of Youth Football and Development, Andrew Mesourouni, has invested considerable time and money into the program which has been made possible, largely through his international Football contacts. Mesourouni himself will also get the opportunity to meet and discuss ideas with technical directors from Real Madrid and Atletico Madrid, which he hopes can also benefit SMFC’s youth development programs in the long run.